…you should also have noted that Wright’s book failed not only to get close to the real facts about Scientology or its Founder but also failed to win the National Book award. While I appreciate that Scientology is a popular subject—hence the need for news media to constantly refer to it—you should also have noted that Wright’s book failed not only to get close to the real facts about Scientology or its Founder but also failed to win the National Book award. Wright’s book presented an inaccurate and misleading picture of Scientology, based on myths, urban legends and deliberate distortions while perpetuating anti-religious bigotry against the Scientology religion. 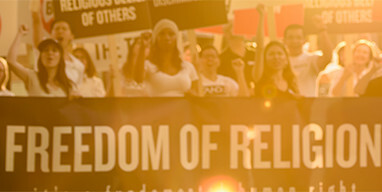 For facts about Scientology, readers should review for themselves what our religion stands for and accomplishes at www.scientology.org.